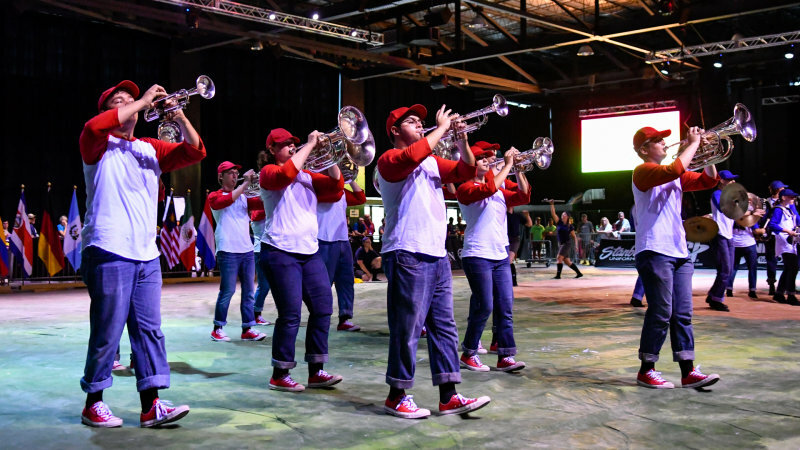 Rainy weather in downtown Indianapolis didn’t wash away 16 SoundSport teams’ spirit as they gathered inside the Pavilion at Pan-Am to compete for the title of 2016 SoundSport Champion prior to the DCI World Championship Finals on Saturday, August 13. SoundSport International Music and Food Festival presented by Motif Music during the final day of the DCI World Championships. The festival-like atmosphere also featured DrumLine Battle showdowns, interactive drum circles, and exhibits. “People coming together playing some music and having a good time and the reaction of the audience here today has exceeded our expectations, so we are really happy with how this year’s event is going,” DeNovi added. The participating teams also competed for personal excellence while receiving ratings of Gold, Silver, or Bronze from a panel of judges. Hailing from Omaha, Nebraska the Railmen performed a baseball-themed production, team brass versus team percussion, winning over the judges and receiving a Gold rating, Best in Class honors in the all-age category and Best of Show. Also taking home a Gold rating in the all-age, under 50 members category was Thunder Brigade (Gaithersburg, Maryland) and the Optimists Alumni Corps (Toronto, Ontario, Canada). Members of Sonus Brass Theater (Woodbridge, Virgina) achieved a Bronze rating, and these 10 teams earned a Silver rating: Appalachian Sound (Atlanta, Georgia), Mon Valley Express (Pittsburgh, Pennsylvania), Rouges Hollow Regiment (Doylesotwn, Ohio), Rhythm IN BLUE (Canton, Ohio), Jim Ott Brass Ensemble Third Coast (Stockton, California) , Bridgemen Mini Corps (Bayonne, New Jersey), LakeShoremen (Brownstown, Michigan), McMaster Marching Band (Hamilton, Ontario, Canada), Columbus Saints (Columbus, Ohio), and Florida Xpress (Hawthorne, Florida). Rouges Hollow Regiment director Eric Bechter said SoundSport has given members of his small-town Ohio group the opportunity to do what they love, entertain a crowd, on their small budget. Two youth SoundSport teams were also in attendance, performing with members all under the age of 22. The Bishop Dwenger Saints (Gold) from Fort Wayne, Indiana were the first youth team to take the stage followed by the Diplomats (Windsor, Ontario, Canada) who received a Silver rating from the judges. 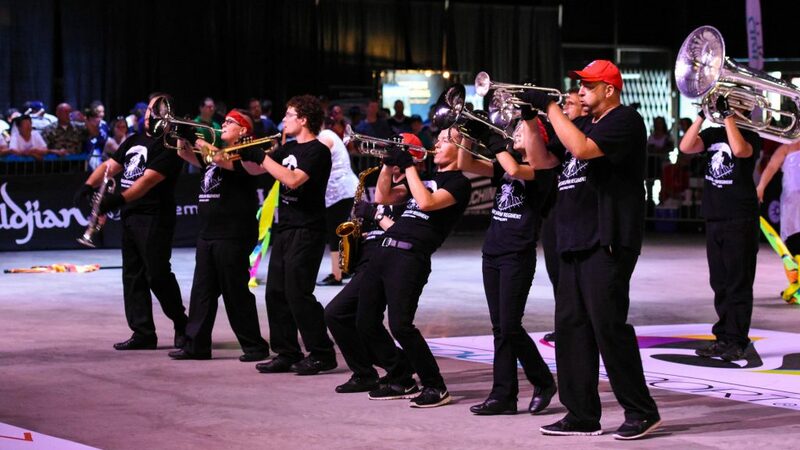 Also performing on Saturday were members of the INpact Indiana’s Future Band and later the Bridgemen Alumni corps who brought the house down when joined by members of the Jersey Surf Drum and Bugle Corps for an encore presentation. With the flexibility to stage events in a number of venues and locations, beyond Indianapolis, SoundSport competitions will continue throughout the fall and winter across the country and around the world. Learn more about SoundSport and upcoming scheduled events at SoundSport.com.